I’m so excited when you guys tell me my planning tips are helping you be better organized. That is exactly my goal when sharing these tips, tours, tutorials and pictures. Starting in the new year I will be rolling out a lot of videos to help with planning and organizing. Don’t miss them just because you aren’t subscribed to my YouTube channel. Go do it now and come back, I’ll wait. I’m going to share a mix of written and recorded content to help us organize and better manage our lives. If you have questions or want me to cover a specific topic, don’t be shy. Let me know. 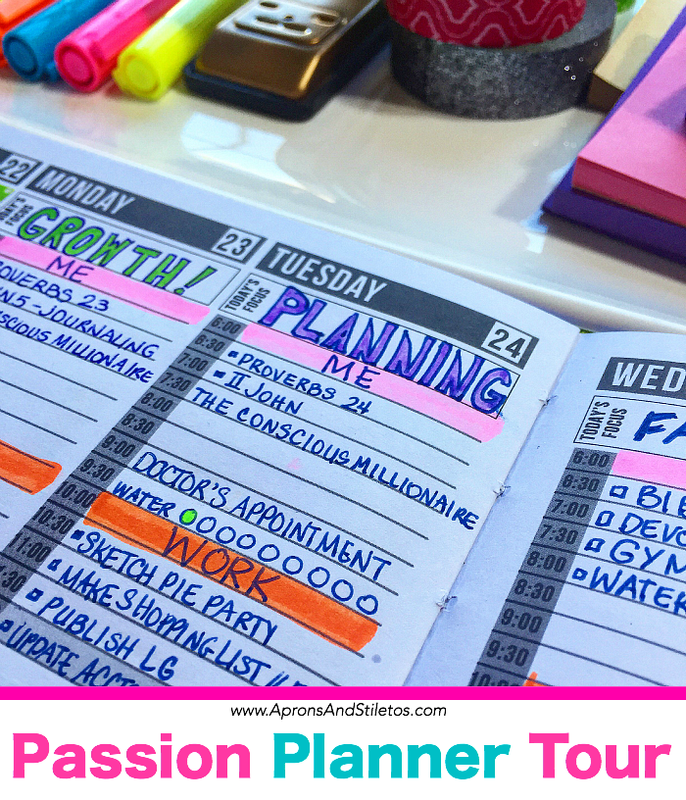 Today I’m going to show you how I use my Passion Planner to manage my day and stay on task. My planning methods are not just cute, but functional as well. I don’t believe in having a cute, organized planning page and yet nothing on it was completed. My tips are for people who need to set some goals, list tasks and get them done. I’ve been using my Passion Planner for two months now and really like it. It’s one of the best planners I’ve ever used. It’s super comprehensive in the fact that it offers space within the planner to track so many things. Thanks so much for sharing – just found your site! I'll be digging through all of it! Many Blessings!!! Thanks for sharing how you use your Passion Planner. I like how you used the basic layout, but personalized the elements to work for you. It's so important to plan and stay organized. With everything I have on my plate these days, it hasn't been easy to do so. Wow! That looks like a great planner. I love how it offers so much space to write what you want. I'm trying to work on my planning skills. I have a ways to go. I love a good planner. I would be lost without it. What great ideas! I've been a little bit of planner slacker in 2015– but it's on for 2016! I love a good planner! I've heard about the passion planners, but I haven't tried that route. Maybe 2016 will be my year?